Blue Star is a privately owned electrical and communications contracting company founded in 2004. Our mission is to deliver quality electrical contracting services to our clients both efficiently and effectively in a safe and environmentally sound manner encouraging repeat business and sustained profitable growth. We pride ourselves on our core values of excellence, people, integrity, sustainability and vision which guide us in our business activities and ensures a high standard of service delivery to our clients and the wider community. 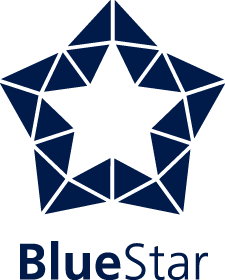 of repeat work from our clients, Blue Star has gained an enviable position in the industry and achieved controlled profitable growth to ensure we can support our clients and our people for the long term. Our business delivers electrotechnology solutions under the divisions of Blue Star Pacific and Blue Star Atlantic. Blue Star Pacific focuses on large commercial projects whilst Blue Star Atlantic is skilled in industrial, small to medium commercial and direct client services. Blue Star is an award-winning business and is continually striving for excellence. We are proud of who we are and all of our achievements, and look forward to delivering exceptional results under the Blue Star brand well into the future.